Gin Blossoms can be booked through this site. Gin Blossoms entertainment booking site. Gin Blossoms is available for public concerts and events. 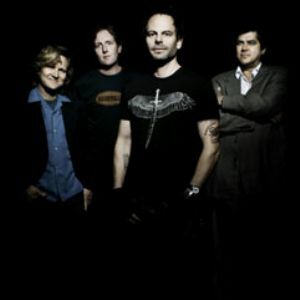 Gin Blossoms can be booked for private events and Gin Blossoms can be booked for corporate events and meetings through this Gin Blossoms booking page. Unlike most middle agents that would mark up the performance or appearance fee for Gin Blossoms, we act as YOUR agent in securing Gin Blossoms at the best possible price. We go over the rider for Gin Blossoms and work directly with Gin Blossoms or the responsible agent for Gin Blossoms to secure the talent for your event. We become YOUR agent, representing YOU, the buyer. In fact, in most cases we can negotiate for the acquisition of Gin Blossoms for international dates and newer promoters providing you meet professional requirements. Singer Robin Wilson recently encountered a friend who had heard the new Gin Blossoms single,Learning the Hard Way, on the radio. At first, the friend was aghast. I thought, Who the hell has the audacity to sound this much like the Gin Blossoms? he told Wilson. Indeed, the Gin Blossoms inventive, instantly appealing smart pop has proven so influential that Wilson's friend can be forgiven for initially thinking that the song might be by one of the bands many imitators. He might also be forgiven for not realizing that after a difficult breakup, a stirring reunion and a few years of playing live shows together, the Gin Blossoms had completed Major Lodge Victory, a new album in stores August 8, that is both long-awaited and well worth the wait. Accept no substitutes: the Gin Blossoms are back. We couldn't have learned how to make it work for all of us and still be a band after eighteen years without a lot of blood and history behind us,Wilson explains. But we have a unique sound, and thats rare. To hear that with new material is really satisfying and a relief. Book Gin Blossoms for your next event! Would you like to have Gin Blossoms perform at your next corporate event, party or concert? Simply fill out the simple interest form below, and we’ll start the booking process.